A perfect waste of time: LO "Sommer idyll"
Today is as well a day when Kortgleder is announcing the new challenge as well! Yes, that's right! 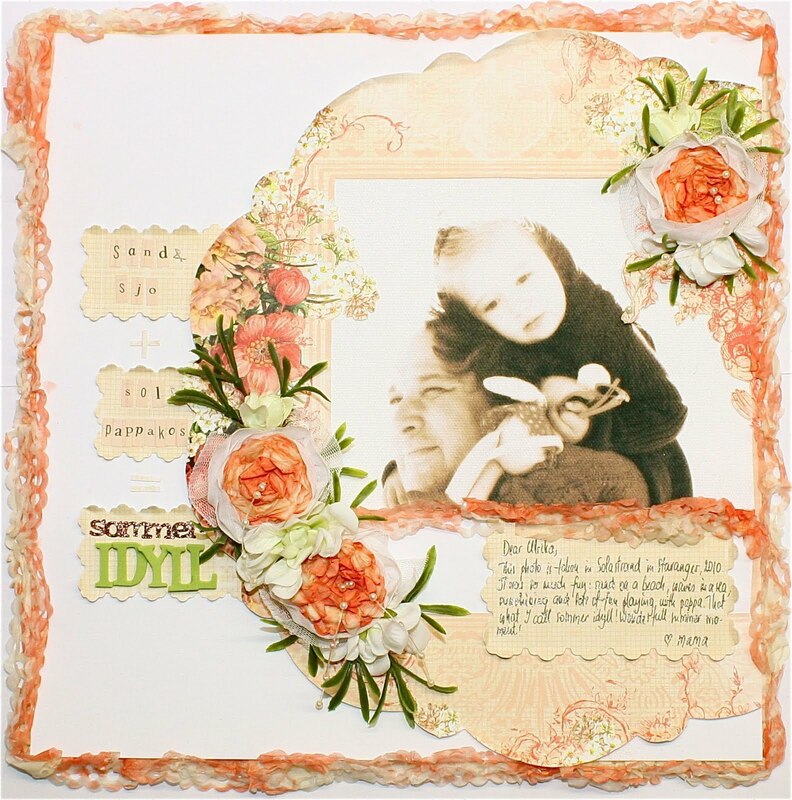 And the challenge is all about "Sommer idyll" which is inspired by the song from Postgirobygget. 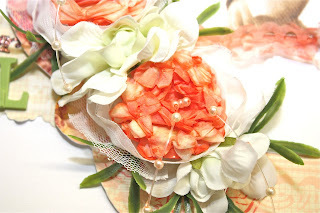 I used paper from WP and Bazzil, flowers are made by my self using WOC rose trim and silk paper cut with Nellie snellen dies MFD025 and MFD026. I also used Nellie Snellen dies MFD014 for tekst and title backgrounds, and MFD023 for making edges with silk paper. The photo is printed on Canvas paper - fell in love with it! Maybe a picture is not as sharp on the photo, but in reality it looks gorgeous! Adorei seus trabalhos. Conheci seu blog através do Our Vintage Affair. Parabéns!! Já sou sua seguidora! Beijos do Brazil! very beautiful work thanks for the inspiration!